InvestorCarrot websites industry-leading real estate investor websites. But InvestorCarrot (oncarrot.com) offers much more than just a website. In honor of full transparency, I work for InvestorCarrot. But I strongly believe in the product (hence why I work for Carrot) and have a first-hand look at how well the platform actually works. Here is a Carrot motivated house seller site if you want to check it out. I am not a real estate expert. I haven’t closed hundreds of deals like some members using Investor Carrot websites. But I have been able to… customize my site, rank it for keywords I want, and generate consistent leads. This review will get into more details and show actual screenshots of my website’s back end so you can see what a Carrot member sees. But first I want to briefly talk about who Carrot is for and who it isn’t for. Who would get the most out of InvestorCarrot’s websites? Real estate investors need more than a few pages of content. If you go the Wix or Weebly site, you can get a website that looks different than most but you will need to create some content for those pages. 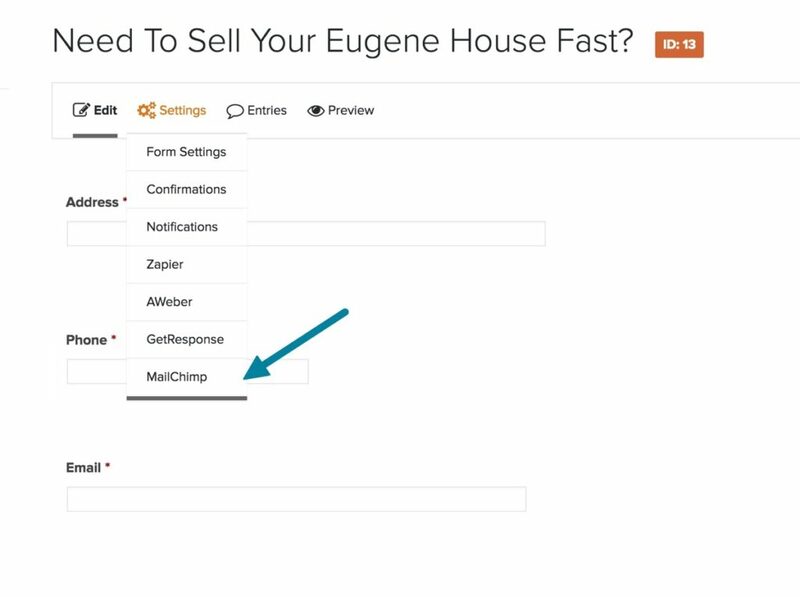 Then you will need to find a way to track where the leads are coming from, some form automation (auto responders, getting the lead into your CRM, etc). With Carrot, most of these features are built into the websites. The back end has everything you need to track leads, create custom content, manage leads, and see your websites stats. Mix in some of my favorite features like SMS text notifications and two step forms and you have a powerful real estate investor website. On average my website converts around 6-8% for paid traffic (which is how I generally drive traffic to my website). So what I am trying to say is InvestorCarrot is perfect for the real estate investor who sees the importance of having an online presence and needs built-in tools to effectively market their site. But spending money on a site doesn’t make any sense and InvestorCarrot sites convert. The proof is in the pudding. If you want to launch a Carrot website and do nothing to it and expect the leads to just roll in…well, bad news, you are going to have a tough time with InvestorCarrot websites. But if you review your market you will undoubtedly see InvestorCarrot websites, which means the platform works. But it only works if you do (or are willing to hire out help). Finally, if you care more about how a website looks then how it performs, you might not want to get involved with Carrot. Conversion > Cool factor always wins if you ask me. The goal is to show you why I like Carrot for generating motivated seller and cash buyer leads online. I will go into how to make your Carrot website look different if there are already InvestorCarrot websites in your market, and some of my favorite features. Is InvestorCarrot easy to use? We may as well start with the most subjective part of this review. The answer is 100%, it depends. Hear me out. InvestorCarrot is not a system where you turn it on and your business is suddenly transformed. That type of tool DOESN’T exist. But if you want to build on a platform that makes it really easy to track links, create custom content, and converts at a high level…keep reading. 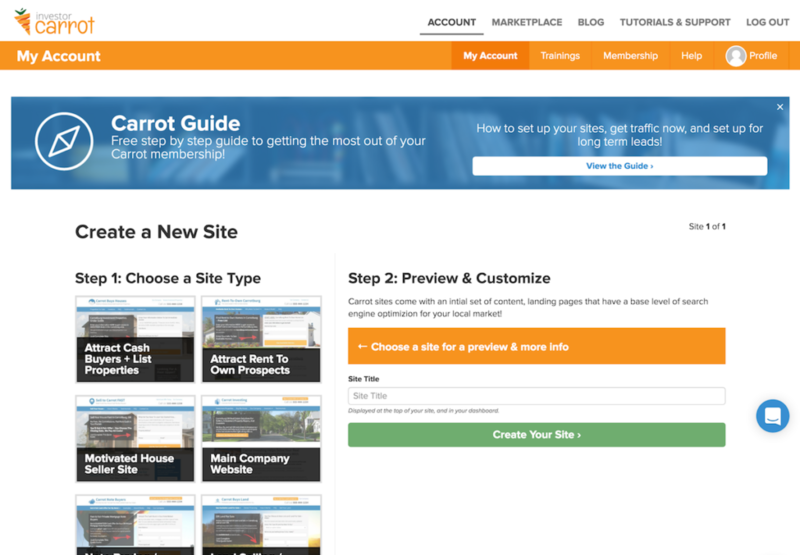 To get started with Carrot you can decide on which style of site you want to launch. 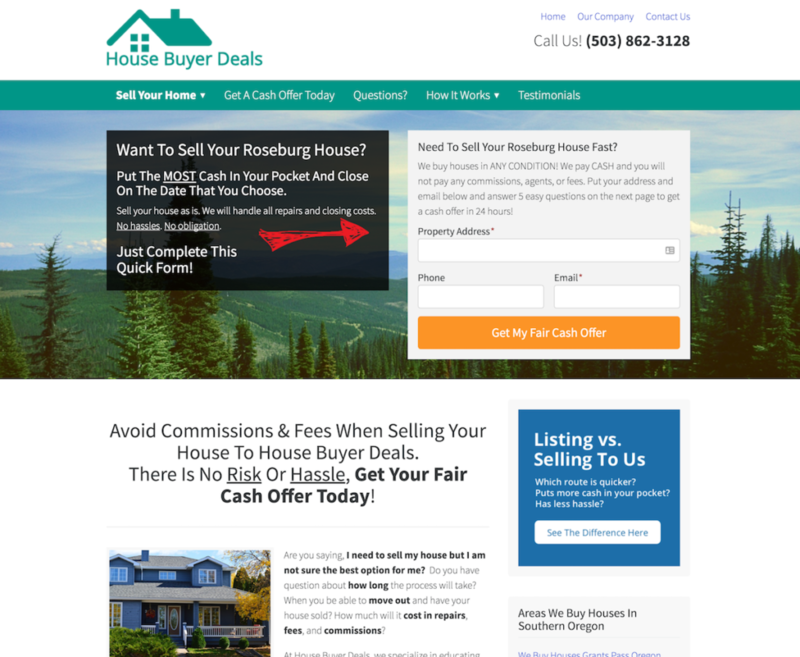 These site styles target different types of leads (cash buyer, motivated seller, tenants, etc). See below. This is a huge advantage because already there is built in strategy when you launch your website. From there, you will need to get your domain hooked up and you are off and running. How does Carrot compare to Wix or Weebly for starting a website? Wix and Weebly definitely make signing up for their service incredibly easy. Probably a little easier than Carrot. But once you are signed up you have a blank canvas. That is to say you would need to start creating pages with content, adding images, linking to other pages, etc. With Carrot, once you get started your website is 100% finished. It comes built with pages, landing pages, blog posts, and much more, which are optimized to a location you specify. They take all the guess work out of “starting” a website. No doubt you will want to change some things on Carrot. We get into that a little later with the customization section. But suffice it to say, that Carrot is WordPress based, so the backend of your site will look familiar and everything can be accessed within a few clicks. No need to know any code. Which is a big help for real estate investors. But does InvestorCarrot deliver the goods leads? Finally, we can move beyond the subjective part of this review and get into some more hard hitting, data-driven analysis of InvestorCarrot. When real estate investors talk about results they generally mean one of two things. Carrot definitely does generate leads for it’s members and blogs about the results. It is nice to see case studies between the CEO, Trevor Mauch, and InvestorCarrot members. But of course not every market, nor every website will have a consistent flood of leads. It really comes down to how much time and or money you can devote to your business and getting results online. When I started my website 2 months ago, I didn’t see much action. But I expected that. It takes Google a while to pick up on new sites and get them sorted out. So in the meantime I worked on rewriting some of my content on my InvestorCarrot website to make it unique to me and my real estate investing style. I prefer a more open and honest message so I have that reflected in my copy. I also paid someone to make a simple YouTube video for me and I created a Facebook business page. Basically, anything I could do to make Google look at me as a legit business. 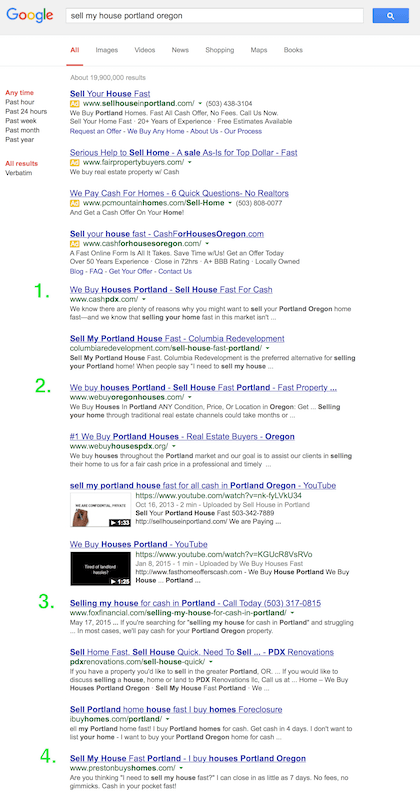 Keywords like “we buy houses [my city], sell your house fast [my city}. So I bit the bullet and kicked off a Facebook ads campaign. Sure enough within the first two days I got 2 brand new leads in my inbox. I also started doing some retargeting because I could see that a lot of people clicked my Facebook ads, but didn’t opt in. So now I can show ads to them on Facebook later. Well worth the $20 bucks and 2 hours on Sunday that I spent. The above three are what it takes to get consistent leads. Here is a screenshot of the traffic I am generating on my Carrot site over the last couple months. I can’t even find them in the search results. Part of the problem is the way I created the pages. I goofed up and deleted a few pages and couldn’t redirect the URLs so I have a bunch of 404 errors on my site. A problem that you can easily fix on a Carrot website. What are some of the best features of Carrot sites? Besides the fact that they are incredibly easy to rank in search engines? Carrot websites have a few other amazing features. InvestorCarrot websites play nicely with a lot of other tools and services. For example, all the forms have the ability to automatically email the lead letting them know you received their info. From there you can send the leads data to a 3rd party service like Podio, MailChimp, Constant Contact, etc. Carrot has a lot of features that you either can’t get with sites like Weebly or Wix or it would require a developer to custom code something for you. Carrot websites now allow real estate investors to more easily track their ROI with campaign tracking links. These are custom links that you can put on your paid advertising campaigns to see what is returning the most money. Another functional part of InvestorCarrot is there content marketing area. They have professionally written blog posts that are SEO optimized for your target location just waiting for you. The best part? They can be scheduled so you can literally set up a months work of blog posts in 5 minutes. So this review is turning into a bit of a love fest for Carrot. I will stop right now and deliver some honest truth. You can get most of what I listed above done on any real estate investor website…but it’s going to cost you some serious money. It’s not like Carrot has the keys to some code that no one else can reproduce. It’s just that Wix and Weebly don’t have a great way to insert plugins. Say you want your form to do something after a user submits it…good luck. Say you install WordPress and you can get some of the same type of plugins that Carrot has developed, but what if you want to move from Zoho to Podio and your plugin doesn’t support that. Have you seen the price of Web Developers lately? You will need a small business loan to make that change happen. I just find it unique that Carrot has devoted countless hours and $$$ to making websites specifically for real estate investors. How easy is it to get answers from InvestorCarrot? Okay this part is unfair. Let me be honest and say that I have never used Weebly or Wix support so they might be outstanding. But I always hesitate to call for tech help because I usually end up wasting a bunch of time and leave disappointed and frustrated. With that being said, I have used other company’s support enough to know when I am getting good service. If you google InvestorCarrot support, you will find a lot of people having nothing but great things to say about customer service. With that being said, I am sure bigger companies with bigger teams have darn good support. With the amount of forums and blog posts out there it’s hard not to find answers to your questions, if you ask them in the right way. InvestorCarrot support cares about their members so their support reflects that. So a few ways that Carrot support can help. They offer phone support, which a lot of other REI businesses DO NOT. I saved this for last because if you made it this far, then you deserve to hear my 100% open and honest opinion about InvestorCarrot customizability. The biggest gripe most people have is that all of the sites look the same. Or, I see other members in my market with Carrot websites (which just means they work if you keep seeing them on the front page of Google). So here is the truth. Yes Carrot sites have a distinct flavor about them. But that is only because Carrot has tested what works and what doesn’t. So here are a few things you CAN change. I am probably forgetting some things but for the most part, if it’s a design type element you can change it. Now what you CANNOT do is say make your site look like your uncle’s plumbing business or that super sweet app you just downloaded. Because that involves code, and if you can code, then you probably don’t need InvestorCarrot. If you want your site to look different I have heard from Carrot’s dev team that new site styles are coming very soon and that will no longer be an issue. So to put a final point on this. YES, your site will look like a Carrot website because that is what the data has said works. No, you cannot customize every single thing on them. Also, have you ever tried changing stuff around on a basic WordPress template or a Squarespace website? So if you want a site that looks different and you aren’t as worried about ranking, then Carrot might not be for you, and that’s okay. Wrapping it up, should I pay Carrot $99/mo. Here is why. If you go the free route with a basic WordPress website, you will still need to pay for hosting, and that could be as cheap as $10 a month. But you are in charge of security, backups, etc. Chances are you will buy a plugin or something and bring up the cost a bit. However, it will still be MUCH cheaper than Carrot. If you NEED a cheap website then don’t use Carrot. But if you are taking your business serious and have a budget to spend on a website, then go with the experts at Carrot because they focus on results more than if a website looks good. I don’t know where else you could even find that type of specialized focus in some industries. Your other option is NOT using Carrot and trying to learn web development on your own with Wix or Squarespace which is sure to eat a lot of your time. If you were to hire a developer to build a custom website, it would surely cost more than $1200 (a total year worth of Carrot) and he or she will likely know next to nothing about real estate investing. It’s hard to ignore how many search results have InvestorCarrot websites ranking number #1. If it works then it works. Instead of worrying if people in your market have a site that looks like yours, worry about what information, tools, and features they have access to that you wouldn’t by not signing up for InvestorCarrot.